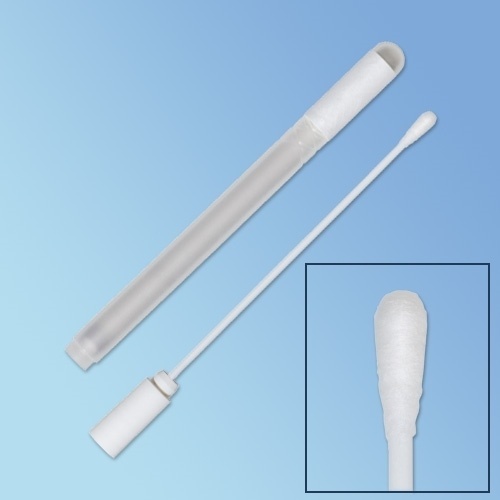 Puritan Sterile DNA Controlled Cotton Swab with Transport Tube P25-806-1PC-BT-FABUSA used as a forensic swab and diagnostics. For many years, fingerprints evidence was the standard for investigating and linking suspects to a crime scene. Rapid evaluation of forensic swabs science has shaped DNA evidence as the gold standard. A few cells are all an investigation team needs to obtain in order to get enough DNA information to identify a suspect. DNA analysis has been helping law enforcement agencies solve crimes for more than three decades. DNA swabbing plays a critical role in streamlining crime scene investigation. They enable forensic professionals to extract valuable information from even the smallest samples of saliva, urine, blood, and other tissues. However, it is important to consider that the effectiveness of forensic analysis depends on the quality of sample collection tools and methods. Low-quality sample collection, storage and transportation media can lead to potentially invalidated results. 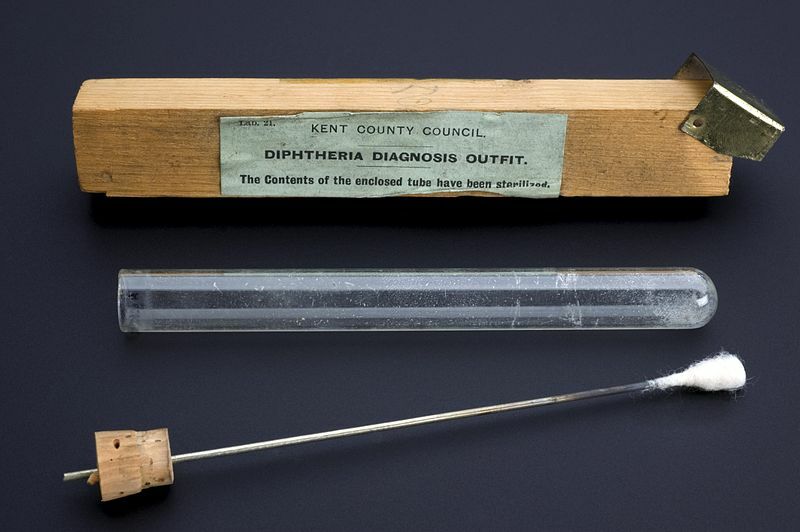 The collection of DNA evidence is a highly effective technique used worldwide to solve investigations. It is essential for medical examiners, forensic scientists, and crime scene investigators to master DNA specimen collection methods. At a crime scene, both physical evidence, such as a weapon, and biological evidence such as sweat or blood could yield DNA samples. If someone touched a weapon or object, various forms of touch DNA might have been left behind. Preparation is the first step you should take to ensure effective DNA swabbing. Make sure your staff is well-trained and well-equipped. Approved personal protective equipment (PPE) such as gloves (and possibly even shoe covers, hair nets, and masks depending on the scene) must be used during DNA swab collection. Proper preparation will help you avoid contamination of samples which can become a critical issue in court proceedings. Sterile swabs, distilled water, transport media, evidence tape and flashlights are some of the essentials your evidence collection kits should contain. Swabbing is a preferred DNA sample collection method over taping. 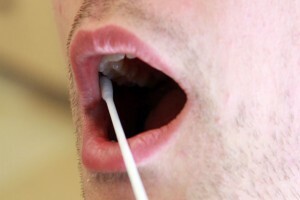 There are swabbing techniques used in accordance with the sample type (touch DNA, blood, sweat). One of the most important parts of collecting cells is ensuring that the swab is completely dry during preservation and transportation. Some of the modern collection tubes are designed to ensure both effectiveness and convenience in preserving samples. There are several environmental factors such as temperature, mold, and bacteria that can affect the DNA at the crime scene. Follow the pre-defined DNA collection procedures even if the crime scene has been compromised. 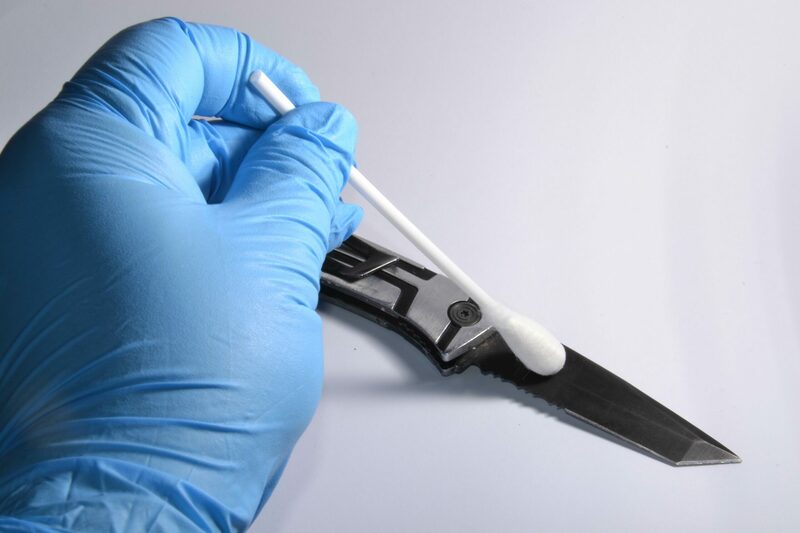 When the job is to swab for evidence at crime scenes, you can choose from a number of techniques. But when it comes to DNA evidence collection, it is recommended to use DNA-controlled or DNA-free buccal swabs. If the swab is not free of human contaminants like DNase and DNA, it could compromise the sample, and consequently, the case. Therefore, always use buccal or DNA swabs certified by an independent laboratory. DNA-free flocked swabs are ideal when you have to deal with an extremely small sample size. Flocked swabs are being increasingly used for forensic processes due to their unique structure which helps crime investigators collect, retain, and elute specimen better than other low-quality swabs. A flocked swab is also handy when it comes to collecting touch DNA from fingerprints or skin cells, or residue from arso, gunshots, or explosions. 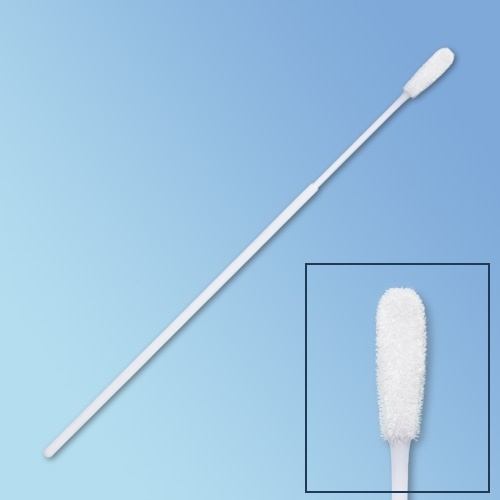 If the sample is large enough and there is no need for advanced collection and elution, a sterile cotton swab, either with polystyrene or wooden handle, will do the job. If it is not required to transfer the sample to FTA cards, it is recommended to use cotton swabs, not only for DNA collection but also for other medical applications. Need a forensic swab supplier? Harmony can help. 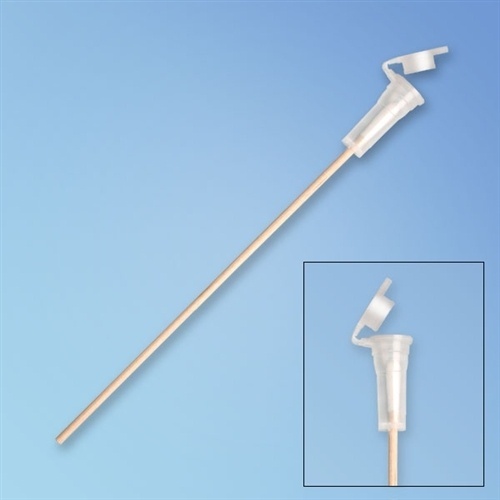 Get premium quality buccal swabs ideal for collecting DNA samples from crime scenes. Forensic professionals have been relying on Harmony for our large collection of cost-effective swabbing solutions. Available with cotton, flocked and foam tips, our forensic swabs are certified for forensic work and tested to the most stringent standards. Visit our online store to learn more about our collection of forensic swabs.